According to the International Centre for Prison Studies, 20.8% of all prisoners in the U.S. have not stood trial, which makes the United States rank one-hundred and thirty-second out of one-hundred and ninety-six countries ranked in that category. 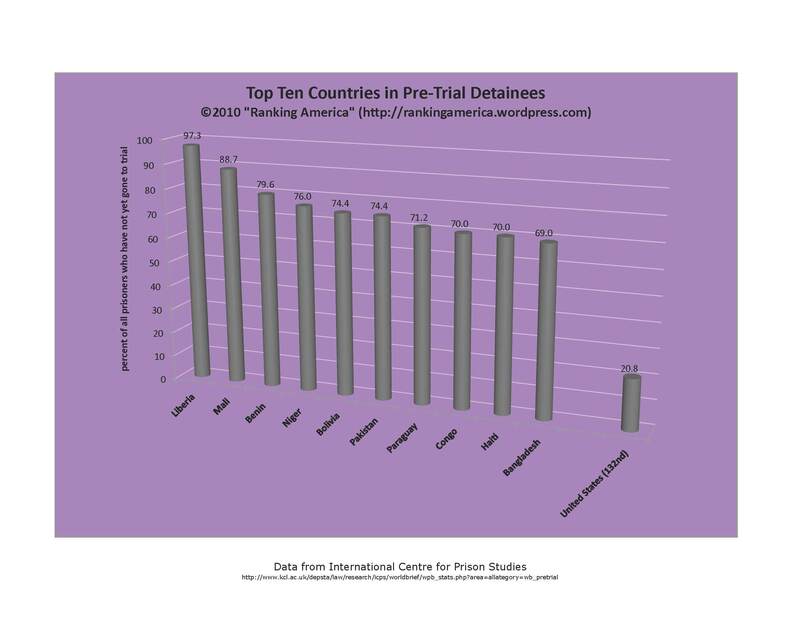 Liberia ranks first, with 97.3% of all prisoners detained without trial. According to the International Centre for Prison Studies, as of March 2010 there are 2,297,400 prisoners in the United States, which makes the United States rank first in that category out of two hundred eighteen ranked countries. 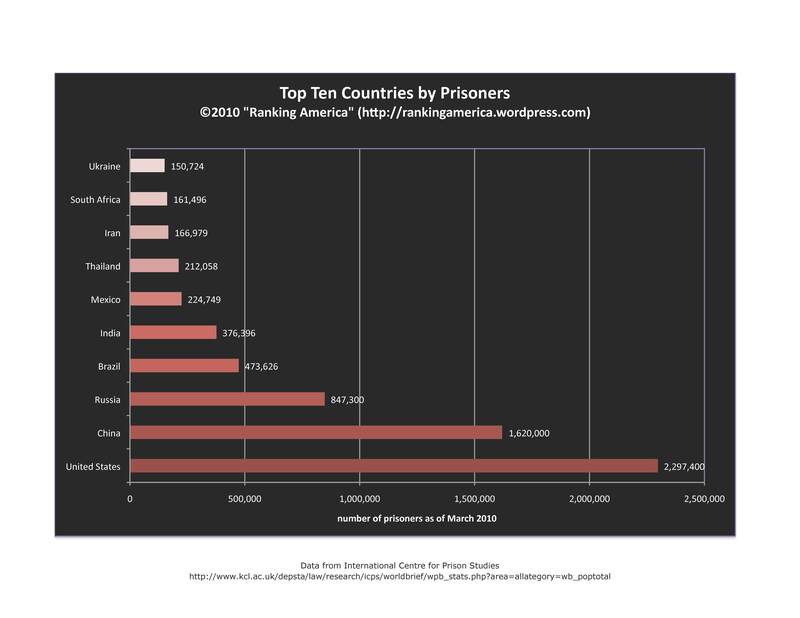 According to the International Centre for Prison Studies, 5.9% of the prisoners in the United States are from other countries, which makes the United States rank seventy-fifth out of one hundred and sixty-six countries ranked in that category. 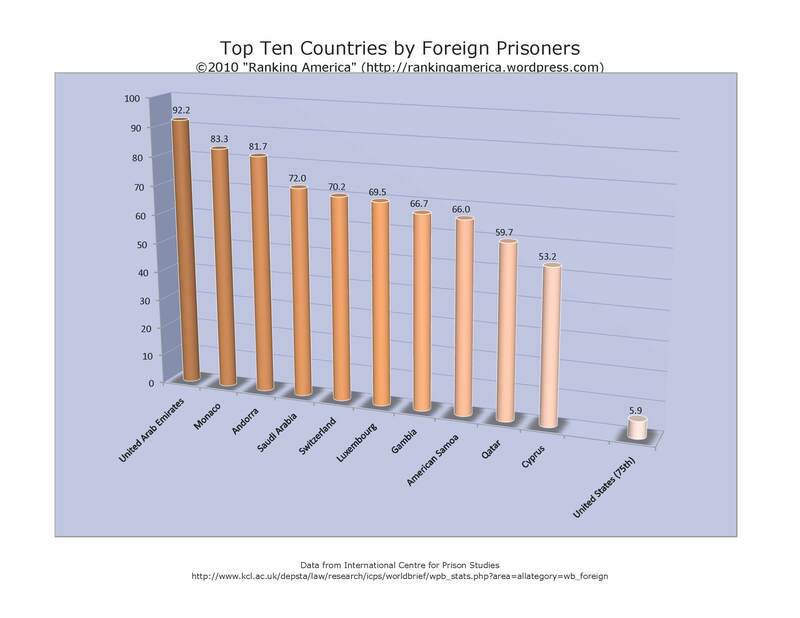 The United Arab Emirates ranks first, with 92.2% foreign prisoners. 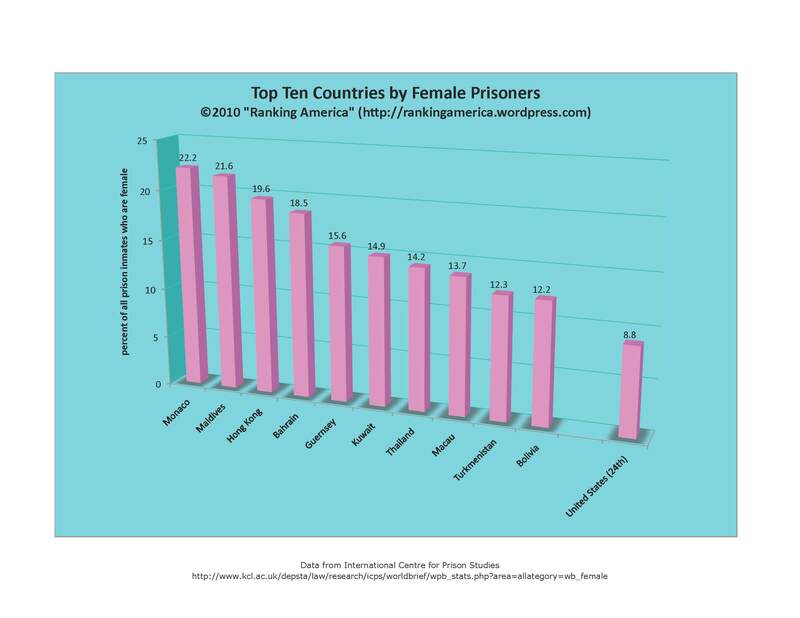 According to the International Centre for Prison Studies, 8.8% of all prison inmates in the United States are female, which makes the United States rank twenty-fourth out of two hundred countries ranked in that category. Monaco ranks first, with 22.2% of its prisoners being female.